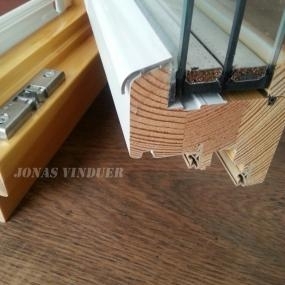 Usually, people, who prefer a naturalness and cosiness, often pick euro type wooden windows. Besides, architects often advice to choose wood windows and wood doors too. Mainly, this is because of the wide palette of colours, shapes and sizes and the choice of timber. Of course, a high quality of wood windows will make Your house warm properly. Wood has better thermal insulation compared to other materials. 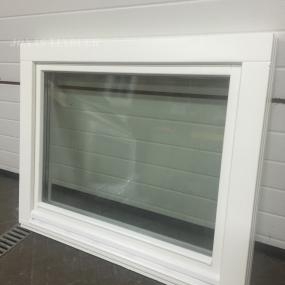 The thermal expansion of wood is the lowest among the materials used for windows manufacturing, this way wood can offer unlimited design possibilities and windows remain firm and stable. 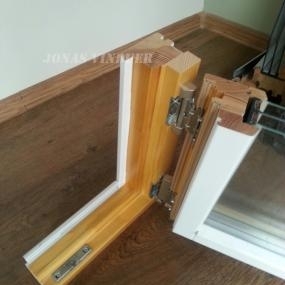 Wooden windows are long lasting. 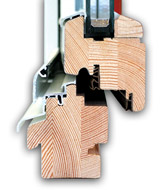 Our wood windows and doors meet the highest European quality standards. 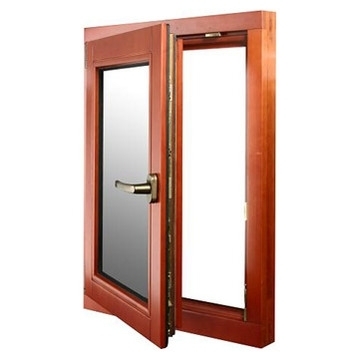 Wood windows and doors are ecological. We use only natural based materials for wood treating. Particularly, they are suitable for people, who do care about their health and environment. Wood is “breathing” – that helps to control humidity balance indoors. It does not accumulate electrostatic charge and, therefore, does not attract dust. So you don’t need to clean it with anti-static materials. Wood prevents water condensation inside the sash. 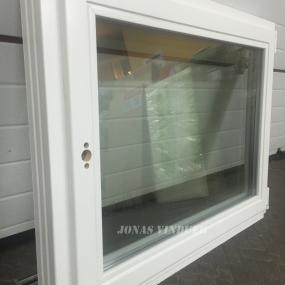 Unlimited variety of colours – during the production of wooden windows, we can obtain a wide variety of colours to match the sash tone to interior, exterior or the furniture color. In addition, transparent lacquers and coloured wood preservatives help to highlight the woodgrain texture. Normally, we use wood girders, glued from three layers, which are extremely durable and resistant to deformation. They are glued from three separate blocks of radial cut boards, using a moisture-resistant glue. Also, there are no branches at all. Important to mention, that this kind of girder does not have any possibility to bend, rotate or crack. 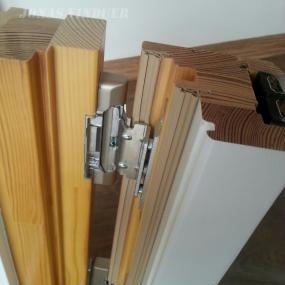 Three layers glued wood girder, which is used in wooden windows and doors manufacture, ensures it’s resistance to deformation. 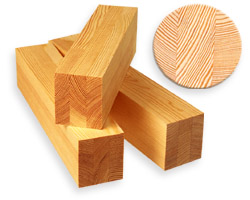 Despite that, the outer layer of radial or semi-radial cut board protects the surface from cracking. It is important to mentioned, that wood is a natural building material. Besides, it brings life into the interior. Also, wood is beautiful and unique, perfect for windows, inside and outside doors. However, if it is not protected properly, it can be affected by lots of dangers. Such as ultraviolet rays, that destroys lignin – an important component of wood structure. As a result, the surface becomes yellow or grey and cracks. Besides, humidity also affects the wood. Therefore, it is important to correctly treat the wooden surface. Mainly, we use German’s company REMMERS GmbH agents during the impregnate and wood paint process. The paints are water-based, dry fast, are resistant to moisture and ultraviolet rays. Besides, our paints are not only ecological, but also elastic, good sticking to the surface and do not crack or peel. Apart from this, wood windows can be painted one colour on inside, and another on the outside. Shortly, this is a great way to match windows to Your exterior and interior colour. each side painted in different coloir. Windows can be painted in all colours from the RAL palette. We offer a wide range of varnish colours too. Firstly, the width of the EURO 78 profile is 78 mm. 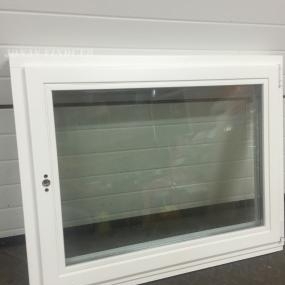 Especially, this profile is suitable for large windows. Secondly, it is 10 mm wider and 25% warmer, than the previous EURO 68 profile. 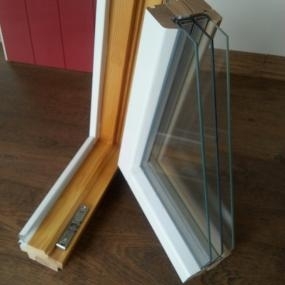 It can be fitted with triple glazing also. Manufacturing experience and well-known name. Briefly, profile EURO 110 – energy saving, high quality, ecological and long-lasting product. In fact, it matches all requirements for a passive house. 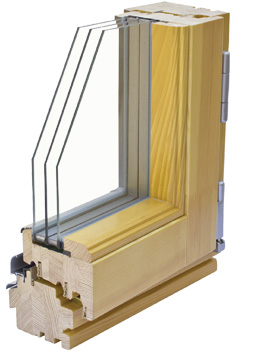 Coefficient of conductivity of wood window is equal: U=0.83 W/m2K. 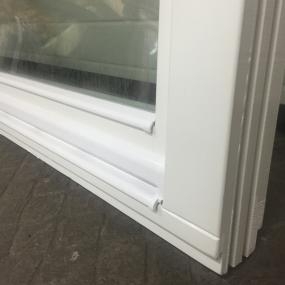 Warm window frame made of wide 110 mm 6 layers glued wood profile. 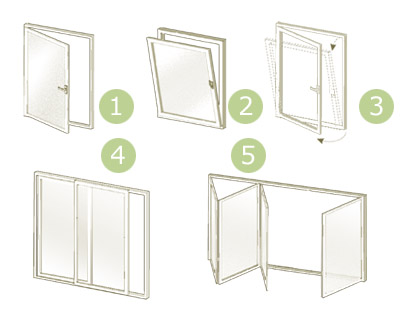 There is a possibility to use glazing unit with 3 glasses, that can be 50 mm wide, coated with selective and filled with argon gas. Manufacturing experience and a well-known name.